Despite the expectations of many after the 2016 elections, the number of concealed handgun permits has again increased. During President Obama’s administration, the number of concealed handgun permits soared to over 16.36 million – a 256% increase since 2007. 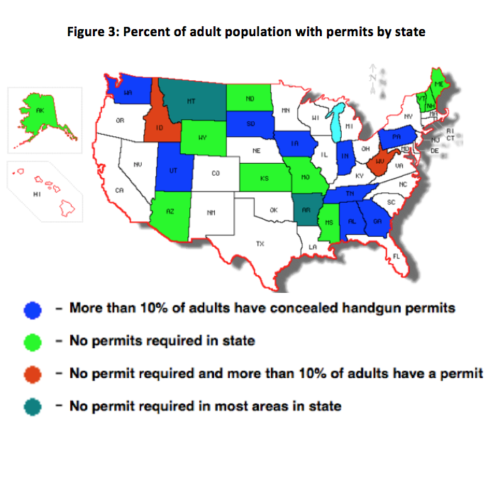 The number of concealed handgun permits is increasing at an ever- increasing rate.